Smart Home Security of Augusta LLC, is your exclusive CSRA Brinks Home Security partner which means our customers get world class service. In fact, J.D. 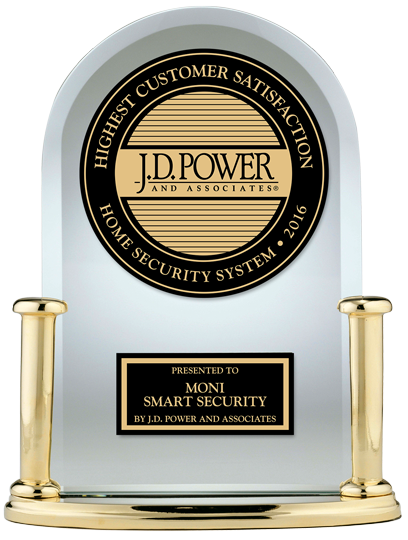 Power has ranked Brinks Home Security “Highest in Customer Satisfaction with Home Security Systems” for 2016. The well-known global marketing research firm measured the satisfaction of nearly 2,500 customers who purchased a home security system in the previous 12 months. We’re proud to accept their ranking on behalf of more than 1 million customers who trust Brinks Home Security with their security including our customers in the Grovetown, Evans, Augusta and surrounding areas! Our extended management, office staff, technicians, consultants and customer service representatives are trained to conduct business with the utmost integrity. We at Smart Home Security of Augusta realize that your home is one of your largest investments and that your family is your most previous gift. Therefore we treat you as a part of our home and family. Brinks Home Security received the highest numerical score among 6 brands in the J.D. Power 2016 Home Security Satisfaction Report, based on 2,282 total responses, measuring the opinions of customers who purchased a home security system in the previous 12 months, surveyed August-September 2016. Your experiences may vary. Visit jdpower.com for more details. Brinks received the 2012, 2013, 2014 & 2015 Consumers’ Choice Award® for excellence in business and customer service among Dallas-Fort Worth headquartered alarm system companies. * Winners are determined through a comprehensive and objective survey of consumers conducted by Survey Sampling International®. Brinks was honored to be recognized by the Security Industry Alarm Coalition (SIAC) and the False Alarm Reduction Association (FARA) as the company that best demonstrated proactive and innovative false alarm strategies in 2013 with the Annual Police Dispatch Quality (PDQ) Award. Brinks has worked diligently to reduce the number of police dispatch requests, while providing an exceptional experience for customers and building positive and beneficial partnerships with local law enforcement and emergency personnel throughout the United States, Canada and Puerto Rico. Brinks is a five-time F&S award winner (2008, 2010, 2011, 2013 & 2014). Each year, Frost & Sullivan presents this award to the company that has demonstrated great growth strategies and implementation. Industry analysts compare market participants and measure performance through in-depth interviews, analysis, and extensive secondary research in order to identify best practices in the industry. Combining the efforts of several key disciplines, Brinks Customer Experience Department won a Bronze American Business Award for Support Department of the Year. The team takes a pivotal role in enabling the organization to consistently deliver exceptional service to over 1 million homes and businesses. Comprised of less than 15 people, the Customer Experience Department is one of the strongest and most functionally diverse in both the organization and the industry. Delivering exceptional professional alarm monitoring service to over 1 million homes and businesses, Brinks Five Diamond Certified Alarm Response Center won two 2014 Bronze Stevie® Awards in the Contact Center of the Year category and the Front-Line Customer Service Team of the Year category. The Stevie Awards for Sales & Customer Service are the world’s top sales awards, contact center awards, and customer service awards. The Alarm Response Center was also recognized twice in 2013. The Central Station Alarm Association (CSAA) has awarded Brinks Alarm Response Center with prestigious Five Diamond Certification. Less than 3 percent of recognized North American monitoring centers are Five Diamond Certified. Brinks is accredited with the Better Business Bureau, a trusted consumer resource that reviews and rates businesses based on customer service and ethical marketplace behavior. Brinks has achieved IQ (Installation Quality) Certification from the IQ Certification Program, which recognizes security providers who adhere to the highest standards of installation, monitoring and customer education. The IQ Certification Board comprises security, law enforcement, fire, state regulatory and insurance representatives who annually evaluate whether a certified company continues to meet the IQ Certification guidelines. In 2013, Brinks made The Dallas Morning News’ list of “Top 100 Places to Work” in the Dallas-Fort Worth area for the third consecutive year. Any organization with at least 50 employees in North Texas can enter the competition. To be eligible for a Top 100 ranking, at least 35 percent of a company’s employees must respond to a confidential questionnaire analyzed by WorkplaceDynamics. Anonymous responses from 69,673 DFW employees decided the 2013 rankings. Brinks also made the list in 2011 and 2012.